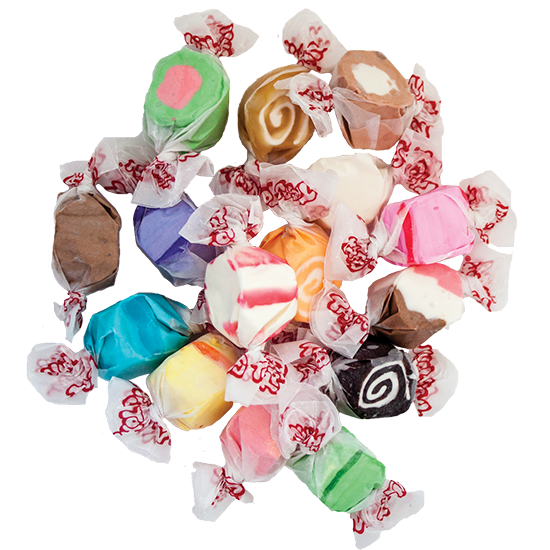 Celebrate your Easter with some delicious salt water taffy! Taffy Town is happy to offer our colorful Cottontail Taffy in a 5.5oz. bag. It contains an assortment of six fun flavors including, Cherry, Grape, Banana, Orange, Raspberry, and Green Apple; all wrapped up in a colorful Easter design. Fresh from the factory, our whipped recipe is a light and chewy candy that will melt in your mouth and doesn’t stick to your teeth! This fun, decorative bag makes a great addition to any Easter basket! Order some today!